Investing in Children relies on volunteers to make the work we do in our community possible. 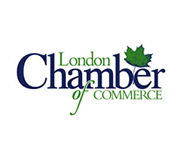 We have volunteer opportunities throughout London and the surrounding area that include weekly programs, special events and administrative tasks. Volunteering with Investing in Children can help you develop job skills, make contacts in the community and gain valuable experience. Reference letters are available upon request. Volunteers must be 16 years of age or older. For more information, please complete the Volunteer Application Form below or contact Janet at jpinder@investinginchildren.on.ca. Please list all languages you speak. 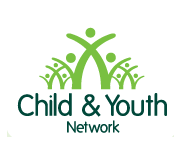 How did you hear about Investing in Children and our volunteer opportunities? Our website, through a friend, a google search, other websites, social media, the grapevine? What made you choose Investing in Children as a place to volunteer? Please list the relevant education, skills and interests that you are able to share with us. Do you have an Ontario Provincial Police Record Check? Do you have an Ontario Provincial Police Vulnerable Sector Check? We require that all new volunteers provide phone numbers for two references. These may come from teachers, employers, other agencies you volunteer with, coworkers, etc. Thank you for your interest in volunteering with Investing in Children! We will be in touch to discuss the available volunteer opportunities. Sign up to receive alerts when new volunteer opportunities become available. Thank you for signing up to receive volunteer opportunity alert emails! Want to receive alerts for new job postings too? Sign up here. Our After School Program is held at Ealing Public School for grade 4, to 8 students. We work to promote: healthy eating and nutrition, active living, and overall personal wellness that are developed through self-esteem and character building opportunities. Volunteers will work directly with the After School Program Coordinator, Investing in Children staff, other volunteers, and community partners. Together they'll develop, implement, and facilitate various activities that promote healthy eating, physical activity, positive personal development, and wellness for the students of our program. We ask volunteers to commit to a minimum of one day a week from September – June. Volunteers will arrive to the school at 3:00 pm to set up and receive onsite training. Transportation is not provided, but the school is located very close to public transit. Investing in Children's theme-based Family Literacy Events address literacy needs for children in grades JK-3 and their families in a fun and interactive way. The literacy events run from 3:00-6:00 p.m. at schools across London and are held three times a year. Families circulate through volunteer supported activities that focus on language, math, science and gross motor skills which relate to the event's theme. Families are given healthy refreshments and leave the program with lots of take-home materials to help them foster this learning in the home. Dates and locations for the events vary each year and training will be provided on-site. Volunteer commitment is flexible with a minimum requirement of three hours. Book Camp London offers fun and creative workshops over five days for children ages 10-15. The camp connects children to professionals in the world of children’s literature. Authors, illustrators and other experts educate, motivate and mentor the campers. The students' writing and illustrating skills are developed, their knowledge of careers in literature increases and they continue to develop an interest in learning opportunities outside the formal classroom. Volunteers will work directly with the Communications Manager, Investing in Children staff, other volunteers, and campers. Together they will help with the supervision of campers, assist with reading/writing activities, be positive role models and mentors for the campers. They will encourage participation, assist with behaviour management, participate in author presentations and workshops as well as help transition students to various workshops. We ask volunteers to arrive at the library each morning at 8:30am to help with set up, sign in and receive onsite training. Transportation is not provided. Adopt-A-Park is a program which partners the City of London with interested community groups, working together to increase the cleanliness and beauty of the city's parks. London has more than 200 parks and we're proud to say that we've adopted Gibbons Park as our own. Located along the beautiful Thames River, Gibbons Park offers an ideal environment in which to walk, jog or bike with friends. The park offers open fields, trails and brush to explore with man’s best friend, as well as three tennis courts, a heated outdoor swimming pool, splash pad and playground area. Investing in Children co-ordinates a number of events throughout the year including Kids Power Conference, Kids 1st Day and National Family Literacy Day. Investing in Children benefits from the generous support of individuals and businesses who believe in providing positive opportunities to London's children and their families. Last year, we had an impact on the lives of more than 14,000 children and their families. You can help us continue to meet the needs of London's families by donating to Investing in Children. We're a registered charity with the Canadian Revenue Agency (86321 3450 RR0001) and so all our donors receive charitable receipts. Simply click on the button below to get started donating to our project fund. You can choose one of our suggested donations or fill in your own amount. Checkout is quick, easy and securely powered by Stripe. Please feel free to download our Annual Reports to get a closer look at how we use our donations, as well as our own raised funds, in our various projects.